Meet BCI's New Board Member: Chris Pruitt, President and CEO, East Penn Manufacturing Co.
Chris currently serves as President and CEO of East Penn Manufacturing Co. maker of Deka Batteries. 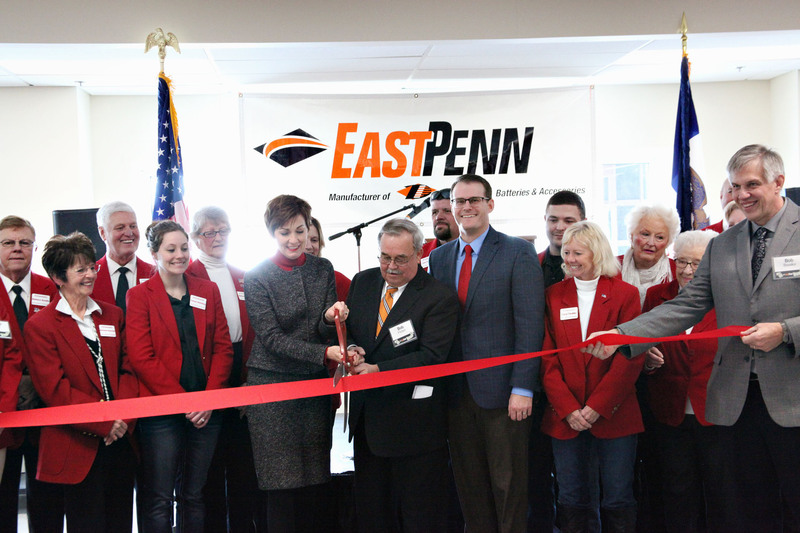 East Penn Manufacturing is the largest privately held battery manufacturer in the world with over 10,000 employees. Chris also serves on the Board of Directors of East Penn Manufacturing Co., and the company’s Family Council and Foundation. He has been with the company since May of 1994. He joined East Penn as the Controller and has held numerous financial positions including Chief Financial Officer. Prior to joining East Penn, Chris was a CPA at Ernst & Young for ten years holding the position of a Senior Manager in the Audit division. While working at Ernst & Young, he earned his Certified Public Accountant designation. Chris earned a B.S.B.A degree in accounting from Shippensburg University in 1984. Formerly, he was a Board Member of YMCA, Chairman and Board Member of The United Way of Berks County, President and Treasurer of The Children’s Home of Reading, Board Member of Big Brothers/Big Sisters, Board Member of the Children Advisory Center, Treasurer and Board Member of The Reading Area Community College Foundation, Audit Committee Chairman and Board Member of the Berks Community Foundation, and Board Member of the Shippensburg University College of Business Advisory Board. In December of 2016, Chris received the Eugene L. Shirk award for Community Builder. This annual Community award is given by Berks Community Television (BCTV). In December of 2015, Chris received the Sydney D. Kline award for Outstanding Community Service. Chris was also honored by the YMCA in 2013 for his Community Service. 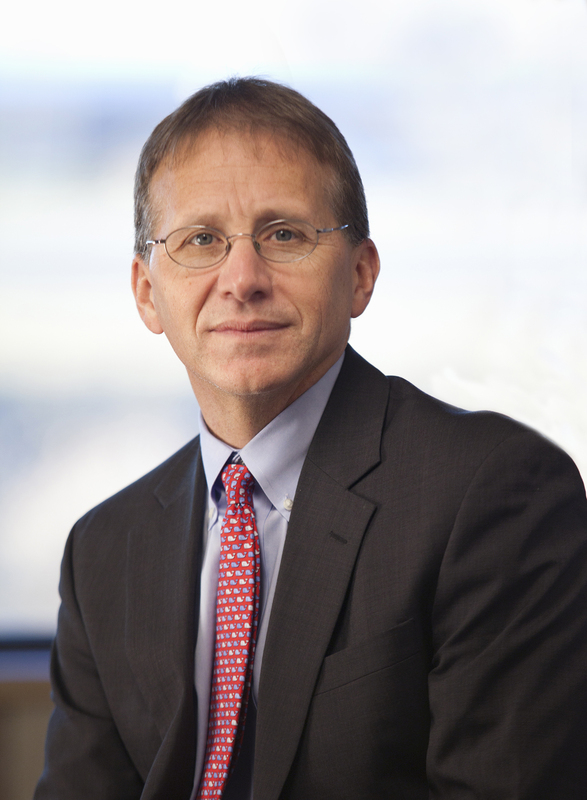 In 2013, he was named CFO of the year by the Lehigh Valley Business Journal. In March 2011, Chris received the Wilburn H. Doran award in recognition of his outstanding work with the United Way and in the Berks County Community. How did you get involved in the lead battery industry? In 1994, East Penn’s former CEO, Dan Langdon, who was the CFO at the time, was promoted to the President of East Penn. This prompted a search for a new CFO, which is how I was introduced to the industry. What attracted me to this opportunity was the company’s reputation as a family-owned organization with a great company culture. It was a simple decision to move forward with the company. Prior to East Penn, I was at Ernst and Young for ten years (1984-1994). What is the biggest change/challenge you’ve seen in the industry? Recently, the lead battery industry has been going through a great deal of technological changes. The market is asking lead batteries to be used in ways they haven’t been utilized in the past to meet new demands in automotive, energy storage and motive power sectors. The rate of change is fast and furious. We’ve experienced more change in the last five years than in the previous ten years. The lead battery industry has always been keen on innovation, but the rate of innovation we are experiencing today is much greater compared to what it was before. While we have been challenged to advance, these innovations are creating unbelievable opportunities for the lead battery industry. The bulk of the challenges we’re experiencing revolve around the perception of lead batteries. For example, government regulators are currently looking to replace the need for lead batteries with other chemistries capable of energy storage. In California, some regulators are seeking to list lead batteries as a Priority Product under the Safer Consumer Products Program. Lead batteries present one of the greatest recycling stories of our time. Our goal is to make the public aware of the safety of lead battery use and the closed-loop recycling story that makes our industry so sustainable and supportive. What do you value about BCI? BCI is a wonderful organization that has allowed the lead battery industry to get together with their peers and discuss the challenges we face. The opportunity to gather groups of small, medium and large companies that face similar challenges is a powerful vehicle for working together to tackle those issues. The association provides a great forum for us to progress the industry and work as a team. The organization is run by high-class professionals who help us navigate those challenges, and I’m continually impressed by the structure of the annual meetings. Thomas Bawart began his career in the family business at Banner in 1986, where he trained in all relevant departments. He took over as CEO in 1996. 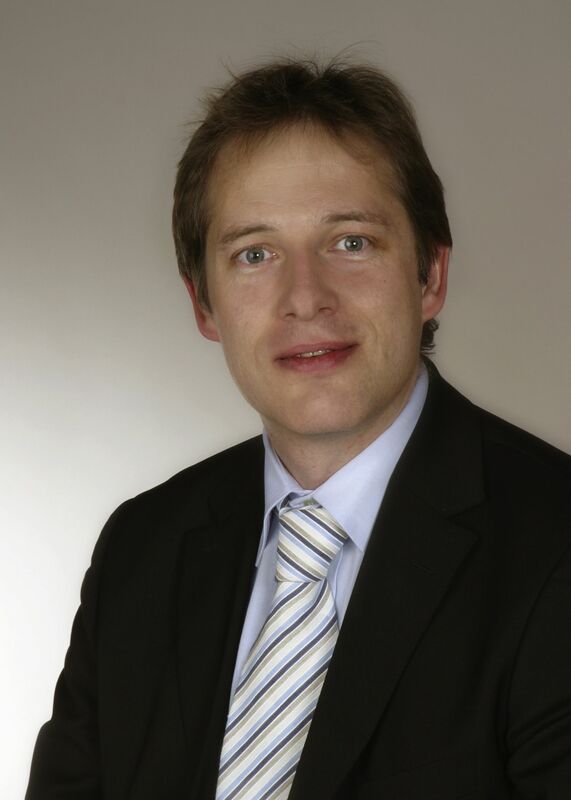 He studied business and economics at the University of Vienna and earned a Master’s from the university in 1991. Banner is a family-owned company, now in its third generation. It was rather obvious I would get involved, although I always had the option to do something else. But it was probably the grid casting process that initially peaked my interest in the business. What is the biggest change/challenge you've seen in the industry? The industry continuously changes! Not at a very fast speed, compared to other battery technologies, but if you look back, there is not only evolution, but quite a bit of revolution. When I first started in the industry in the late 80s, the standard product in Europe was a dry charged battery, many of them built by hand. Production was slow, and the used grid alloys were antimonial; you had to maintain the batteries and refill water. Now, with different continuous plate-making technologies, it is a new world. Assembling has also become highly automated. The whole production process is clean and lean, and productivity has increased enormously. And best of all, the battery now is maintenance-free and nearly defect-free. For many years I have attended the BCI’s Annual Convention + Power Mart Expo. I, and the few other Europeans in attendance, always thought the convention was more or less an excuse for going to Florida to play golf. And, of course, there was the supplier reception! In the last few years, this has changed quite a bit. They now partner with Eurobat to advance industry lobbying efforts and exchange knowledge. I am now on the BCI Board to support these initiatives. The International Lead Medal has been awarded to the late David Boden, in recognition of his outstanding contribution to the lead battery industry following a lifetime of design and innovation, and for his inspirational work mentoring the next generation of lead battery leaders. The medal is awarded annually at either the European Lead Battery Conference or the Asian Battery Conference to honor and recognize exceptional personal achievement in the lead and lead battery industries. Since its inception in 2003, the medal has been presented to many individuals who have played a leading role in developing and guiding both industries, in the areas of science, technology or the environment. 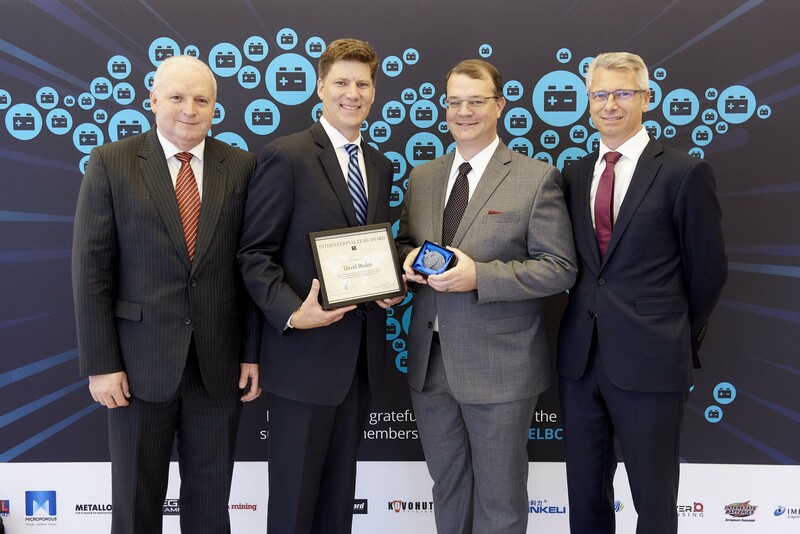 Dr. Andy Bush of the International Lead Association said, “The awards committee decided to award the medal posthumously this year in recognition of David’s outstanding contribution to the lead battery industry throughout his lifetime." During his lifetime Mr. Boden was associated with many leading battery businesses, and he was an active member of the industry’s research consortium, ALABC. He also chaired numerous technical committees for Battery Council International in the US. Receiving the medal on behalf of David’s family, Eric Holtan of Hammond and John Timmons of Crown Batteries – both of whom worked with David over many years – highlighted his inspirational mentoring and support. The medal has become a prestigious award with nominations each year from all over the world based on exceptional service to the lead industry as related to the production, processing or use of the metal, in promoting increased use or awareness of lead, improving lead’s image or encouraging individuals to excel. The award should honor/recognize above-average personal achievement. In a message read out to the 16th ELBC conference in Vienna, Mr. Boden’s wife Pattie thanked the ILA and awards committee on behalf of the family saying they were extremely touched that David was chosen to receive the medal. But it’s a little known fact that the lead acid battery is one of the most recycled products on the planet – with a 99.3 percent recycling rate, millions of lead-acid batteries are diverted from landfill every year. By 2035 there will be over 2 billion cars on the world’s roads – the majority of which will include a lead acid battery. But TBS says the lead acid battery remains the most cost effective and greenest form of rechargeable battery in existence: “These types of technology and the growing importance of electromobility are pushing our industry to be that much better. We’re rising to the challenge with the best possible solutions and development of the advanced lead acid battery. By 2020, it is predicted that start-stop technology utilising lead batteries will help eliminate 2 million tons of vehicle greenhouse gas emissions annually in the U.S. alone. This is equivalent to the annual energy use of 211,000 average U.S. households. In 2018 the global lead-acid battery market was valued at $48.56 billion – a figure predicted to rise at a rate of 7.14% by 2020. Reflecting TBS’ confidence in the market, the energy storage expert has recently invested over £15m in a new state-of-the art global group headquarters in the UK, where it manufactures the machines that its customers produce many millions of batteries on every year. Mining and manufacturing are part of the many STEM-related (science, technology, engineering and mathematics) occupations projected to grow to more than 9 million jobs between 2012 and 2022, faster than most other occupations. The mining industry alone is estimated to grow by 50,000 jobs by 2019, with an additional 78,000 replacement workers needed as active workers retire, according to the Energy Information Administration. Today, the U.S. lead battery industry directly employs more than 20,000 people across the country, and mining operations employ more than 186,000. “Our industry has a solid future, with lead batteries providing an environmentally friendly and cost-effective solution for over 75 percent of the world’s rechargeable energy storage needs. And, as demand grows for both energy and emissions reductions, a variety of innovative and sustainable battery technologies are required,” said Mark Coomes, vice president – human resources and community relations. “We’re excited to be a part of training the next generation of miners, as well as material scientists and metallurgists, who will see future advances in lead batteries that today are just in the research stage." Hunter Strope is a student at Missouri University of Science and Technology (Missouri S&T) pursuing degrees in Geological Engineering and Engineering Management. He is joining Doe Run as a mining intern. Gabriel Underwood will be joining Doe Run as a mining intern. He is a student at Missouri S&T pursuing a degree in Mining Engineering. Trevor Constance is a student at Missouri S&T pursuing a degree in Metallurgical Engineering. He joins Doe Run as a metallurgical engineering intern. Luke McCulloch joins Doe Run as a metallurgist intern. He is a student at Montana Tech where he studies Metallurgical & Materials Engineering. Monica Mixon is a student at Tulane University majoring in Chemical and Biomolecular Engineering. She joins Doe Run as a chemical engineering intern. Brent Aubuchon is joining Doe Run as an industrial engineering intern. Aubuchon is pursuing a degree in Mechanical Engineering at Missouri S&T. Katherine Bartels will be an environmental science engineering intern for Doe Run. She is pursuing her master’s degree in Environmental Engineering at Missouri S&T. Jackson Riley joins Doe Run as a metallurgist intern. Riley studies Metallurgical Engineering at Missouri S&T. Kevin Voelz will be a mine research intern for Doe Run. He is pursuing a Master of Science degree at Northern Illinois University. Frank Schott is joining Doe Run as a research and development intern. Schott studies Mining Engineering at Missouri S&T. Jack Conner studies Environmental Plant Science at Missouri State University. He is joining Doe Run as an agriculture engineering intern. Grant Koller will be an IT intern for Doe Run. He is studying Information Technology at Mineral Area College (MAC). Derek Hymer will also be an IT intern for Doe Run. He studies Computer Science at Missouri S&T. “We will continue to need bright young professionals to lead future innovations in our field, and enjoy helping these interns launch their career,” said Coomes. “It’s an economic success story that Doe Run can manage many stages of the lead lifecycle here in the U.S., where mining and recycling provides an abundant supply of the lead we need for batteries." In addition to internships, Doe Run partners with local colleges, including Missouri S&T and MAC, to provide scholarships, field trips and equipment donations that help train the future workforce. In Spring 2018, Doe Run supported Missouri S&T’s Summer Explosives Camp with two full-ride scholarships for students. The Advancing Lead Batteries Communications Initiative (ALBCI) used the industry’s annual gathering in Tucson to update BCI member companies on progress since members last met. Members of the core team guiding the ALBCI explained that Essential Energy Everyday (EEE) is the external brand for the initiative. They also reminded conventioneers of the reason for the program: Newer battery chemistries and competitors are gaining market share, in part, by influencing the public’s perception of lead batteries. EEE is the first time the lead battery manufacturing and lead battery recycling industries have joined forces in a united effort to educate and promote their value to society. As the initiative has gained traction, many BCI member companies have begun to integrate the EEE materials into their own communications programs which both builds awareness of the EEE and helps member companies to extend their communications budgets by using the informative materials. ALBCI recently released a “Member Toolkit” that provides step-by-step instructions on how to incorporate the materials (videos, infographics, social media) in individual company websites and social media, including the new EEE LinkedIn page. The key to the success of the ALBCI are the stories member companies have to share. The industry is at a pivotal moment with increased innovation and opportunities in renewable energy storage. We continually need fresh content for our website and social media and are eager to hear about community initiatives, product advancements and case studies. These examples bring the industry to life and help to engage our key audiences of policymakers. During the second and third quarters of 2018, our communications materials will focus on how BCI member companies are meeting the growing need to store energy generated by renewable sources such as wind and solar. We’ll close the year with a focus on the role of lead batteries in transportation including start-stop technology. If you have case studies or additional information on these topics, or any others that we’ve covered, please send them to us and we’ll work together to share them. The Doe Run Company (Doe Run) donated $500 to Green Forest R-2 School District to purchase robotics equipment that enables hands-on learning with science, technology, engineering, and mathematical (STEM) concepts and promotes critical thinking and problem-solving skills. 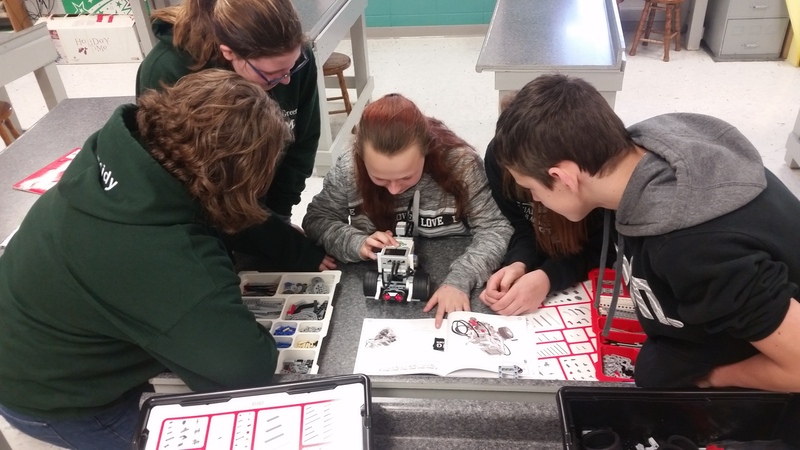 Pictured below, students (from left to right) Kassidy Atkinson, Genna Casey, Alicyn Warden, Skyla Manley, and Brayden Ferguson work together to assemble a robot in the 7th and 8th grade STEM class at Green Forest Elementary, under the direction of teacher Melissa McCarter. The robot set can be taken apart and reconstructed, enabling students to build different robots and program the robots to perform specific tasks. Advanced lead batteries are providing successful solutions in energy storage applications worldwide. To find out more, register to attend a free Advanced Lead Battery seminar ahead of the ESA annual conference on April 17 at the Sheraton Hotel in Boston from 1:00 p.m. --- 5:00 p.m.
As the huge global demand for energy storage continues its upward trajectory, companies want to choose the most efficient and effective batteries and systems for utility and renewable energy storage systems. This seminar, with leading experts from the lead battery industry including East Penn, Trojan and NorthStar Battery, will set out the evidence in support of the performance, sustainability, reliability, safety and economic benefits of using advanced lead batteries. This will include specific case studies highlighting advanced lead battery use in applications such as Frequency Regulation, Time Shift/Storage, Microgrids and Tariff Management, both in the US and in other regions of the world. Building on these case studies, the seminar offers delegates the chance to hear about and discuss the pros and cons of all battery energy storage options with leading industry experts, including Dr. Geoffrey May of ALABC. The seminar takes place on the afternoon before the ESA’s 2018 conference from 1:00 p.m. to 5:00 p.m. at the Sheraton Hotel, 39 Dalton St., Boston, MA 02199, USA. This event is free to attend, and includes lunch before and drinks after the workshop. A more detailed agenda will be circulated shortly. Space is limited. To secure a place you can book here now. East Penn Manufacturing Co. is pleased to announce the opening of its Oelwein Fill, Form, and Finish and Distribution facility beginning early in January of 2018. The company held a Ribbon Cutting Ceremony on February 9th attended by Iowa Governor Kim Reynolds and Lt. Governor Adam Gregg. The ceremony was an opportunity for the company to honor the hard work of the employees in Oelwein and all of the support from the State, City, Community, Contractors, and other valued partners. East Penn Oelwein serves as a strategic location to enhance the product support of the company’s customers in the Midwestern United States and other key points across North America. East Penn also operates a manufacturing facility in Corydon, IA.